First, yes, as you can see in the pictures, I did wear a Boston Red Sox hat to Yankee Stadium, and yes, I did get heckled for it. 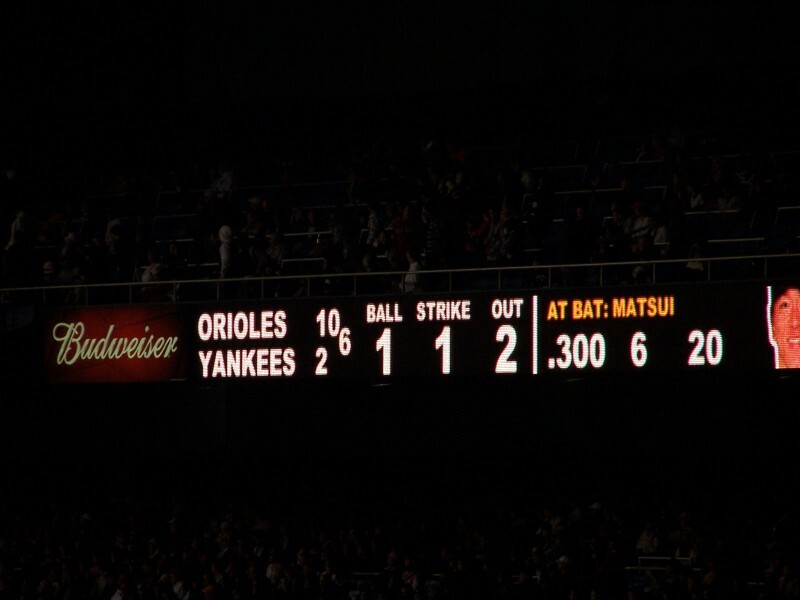 I got the last laugh though, as Kevin Millar (of 2004 World Series Champion Red Sox fame – and unabashed Yankee-hater) hit a home run and got booed like you wouldn’t believe. 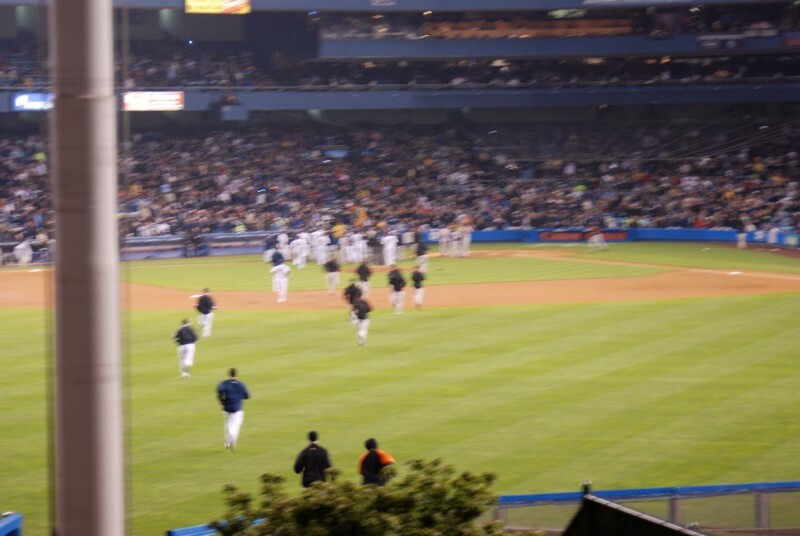 Got to see a bench clearing…fun, but turned into nothing. Boo. 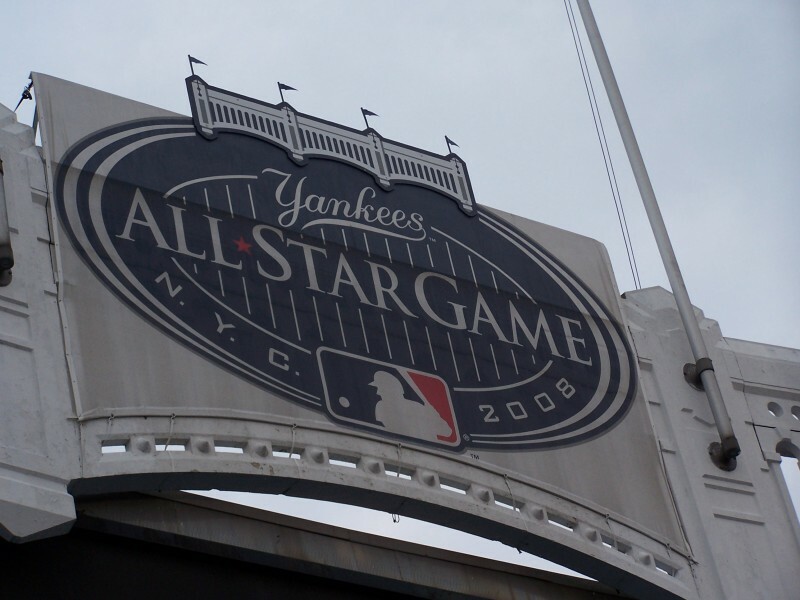 A-Rod hit a homer. As much as I dislike him above all other Yankees, it added to the list of star players I’ve seen hit a homerun at their own park. 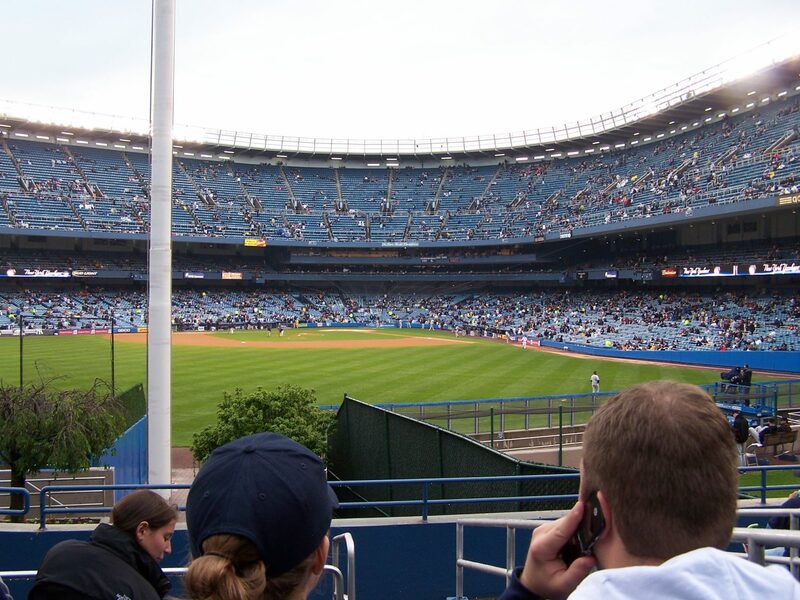 Johnny Damon (also of 2004 Sox World Series fame, but now referred to as Boston’s Judas in some circles) committed a really embarrassing error in left field, where he completely miffed a fly ball any 5 year old could’ve caught. Good for him. Karma, homie. Finally, I’d like you to note the score. Nothing could’ve been sweeter on that night than seeing the Empire go down 12-2 to the Orioles. Love it. As I said with the Mets, New York comes in a close second to Chicago for the world’s best dogs. 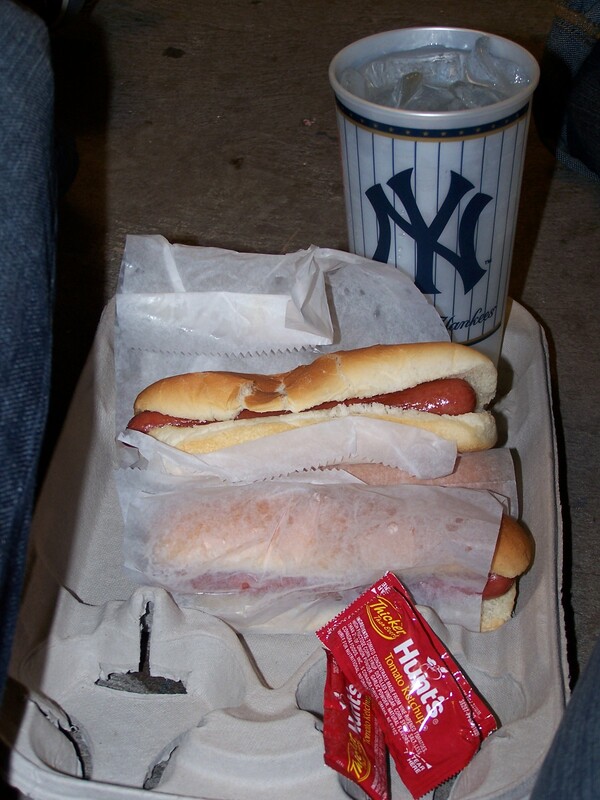 What was interesting here though, was just how plain and uninteresting the Yankee Stadium hot dogs were. 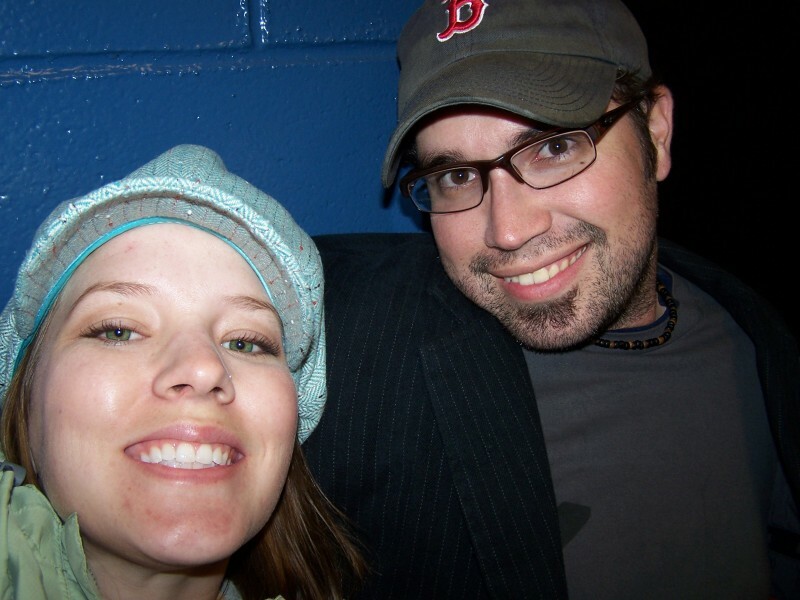 I’m not sure if it had anything to do with us sitting in the bleacher section in the outfield (which is consequently separate from the rest of the ballpark) or if something else was in play, but I was overall disappointed in the offering.